What’s the proper price for a brand new whisky these days? By which I do mean brand new: a distillery’s inaugural release. Assuming you didn’t join their founder’s club, The Lakes Distillery reckon it’s £895. “Proper” probably isn’t the right word. In fact it definitely isn’t. Distilleries are perfectly within their rights to slap whatever price they like on their own whisky; it’s called capitalism, and that’s how it works. Besides, these inaugural releases are honeypots for cynically-minded secondary market folk and, since the money’s going to be made somewhere, it might as well be by the people who actually made the whisky. Inaugural releases are weird sorts of things anyhow. 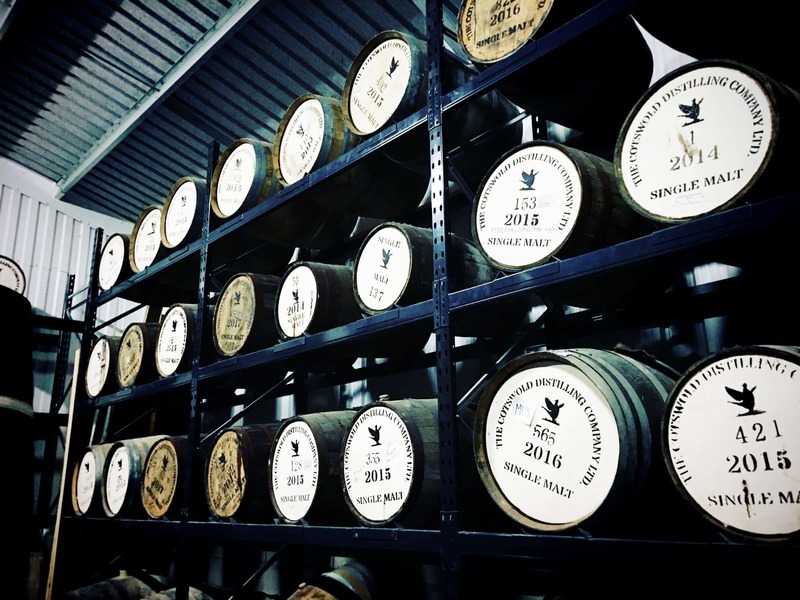 They’re often wholly unrepresentative of what the distillery is ultimately aiming for; they’re inherently young – bottled at a stage when not all whiskies are built to be drunk – really they’re just a celebration of coming of age. And there’s a premium on being part of that. Naturally that excludes a large portion of the drinking market. Myself included. This isn’t sour grapes, you understand. There are plenty of whiskies that I can afford, and am more interested in buying. Nor am I saying that you can’t be an absolute whisky nut and happen to have lots and lots of money. When one of these Lagos-based generals finally comes through with the millions-worth of inheritance they keep emailing me about I’ll probably buy a lot more of these inaugural expressions. Thing is though, prices like £223 are inherently exclusionary. And there is an automatic sense for many people whose budgets are set lower, that the party is now one at which they are not welcome. That they are not even considered for inclusion on the guest list. That an all-encompassing love of whisky now comes with an unreachable price tag, even when it’s an unproven whisky that’s spent minimum time in oak. That following a distillery’s juvenile journey has ended in something of a cold shoulder. A bit of a snub. Which is why brands like Kilkerran, whose 12 year old finally emerged at an outrageously good £35, and whose follow-up cask strength 8 year old still comes in under 50 notes, gets so much love. And the same, I think, is true of the Cotswolds. I bought a bottle of their inaugural release the day it first hit their distillery shop shelves. It cost £45 or thereabouts. Not cheap, by any means, but not cordoned off behind a red velvet rope either. It felt like a new release that the makers wanted all whisky lovers to be able to try. £45 has, incidentally, remained the going rate for the Cotswolds Single Malt. And you know what? It’s actually an excellent price. Because commensurate time and effort and expense goes into making it. You see the wonderful thing about the Cotswolds Distillery is their back-to-reality groundedness in what really makes whisky tick. 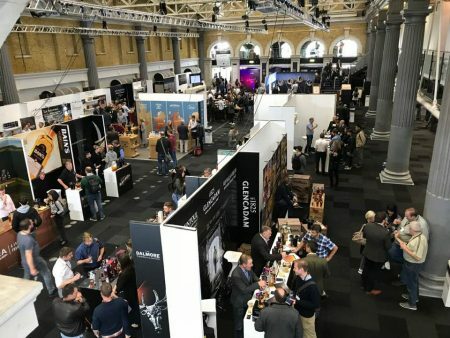 This isn’t a place for the assortment of monsters and warriors and sea creatures and abominable snowfolk and tweedledums and tweedledees that pepper modern whisky marketing. The only legend you’ll hear about is the late Jim Swan, who helped create the blueprint for the Cotswolds spirit, taught the current team how to continue making it, and whose fingerprints indelibly cover the newly-launched whisky. I’ll tell you the sort of place the Cotswolds Distillery is. When I visited a couple of weeks ago, the place I spent the most time was standing next to the fermentation vats. Why? Because Zoë, their marketing associate and former distiller, was chatting to me about lactobacillaceae, and other bacteria that interact with the wash during the secondary stage of fermentation. Or possibly it was next to the stills, where I was given the scientific reasons for their (very narrow) cut points, and shown how their choice of a high cut (76-69% ABV) directly drives the high-ester, super-fruity flavours they’re after. Zoë and head distiller Nick were even talking about looking at the distillate under a microscope. For two pins I reckon they’d have shown me the slides. Actually, it was neither of those places. 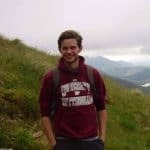 It was in the pub afterwards, where for the best part of two hours we continued chatting about barley and vintage and farms and malting and yeast (they use two strains – anchor and fermentus). We talked bacteria and cut points and stills and maturation and coopering and – as you’ll have read in Mark’s piece – they’re keen to chew the fat about filtration as well. In short, this is a place that ticks almost every box I was after when I wrote about the need for more disclosure in my Longrow Redreview. There’s no smoke and mirrors, no perpetuation of nebulous mythos. Just good whisky being made by people who want to show you how they make it. Disclaimer time: my tour wasn’t the norm. I’m wrangling with a print piece about whiskies made in England at the moment and I’d got in touch to see whether I could ask a few fatuous questions. They got straight back in touch (that happens so rarely when you’re me) and not only did Zoë showed me round the distillery and answer every question I had, but I was even taken for lunch. Which was lovely. I don’t say this to brag, of course – or I certainly don’t mean to – but rather in the spirit of full disclosure. And here’s the thing: everyone who works at the Cotswolds distillery seems genuinely obsessed with what they’re doing. I wasn’t being told these things off the record or because we were behind the scenes. If I’d asked the same questions on one of the regular tours, I reckon – no, I’m certain –I would have got the same answers back. Besides, I’ve been saying nice things about them since long before they knew who I even was. Anyway, although I was under no obligation to do so, I bought another bottle of their whisky. Which is what I’m reviewing today. Confusion perhaps. After all, Mark and I have already both reviewed the inaugural single malt which – let’s not forget – was only released in September. 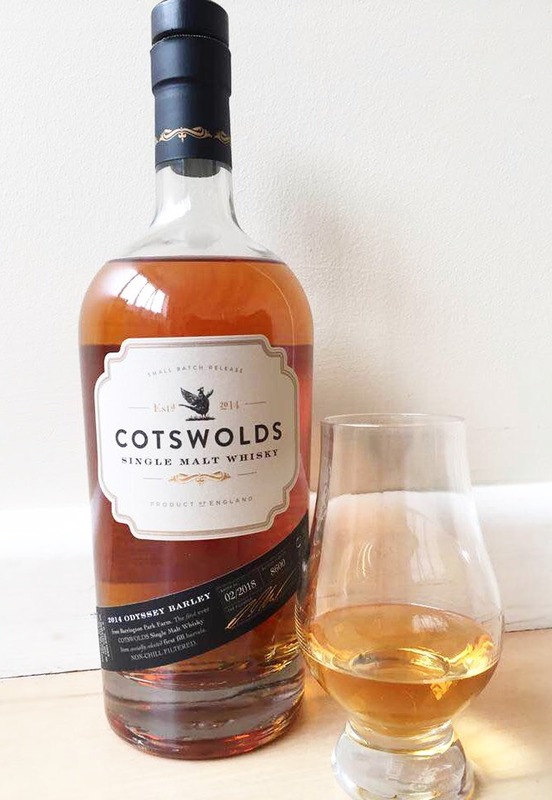 So why am I reviewing the Cotswolds single malt again today? Well, a few reasons. Firstly, the barley’s from a different farm and a different vintage. So there’s that. 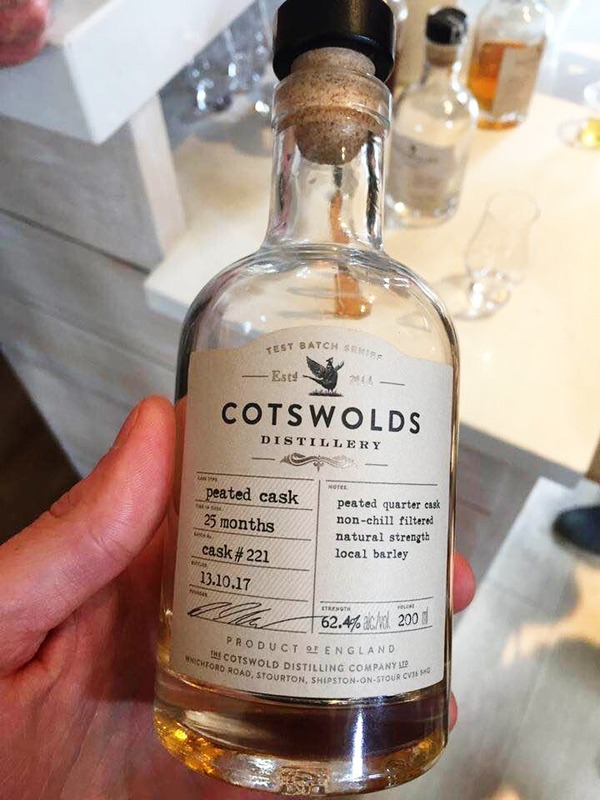 But also, the 2018 bottlings are the first Cotswolds whiskies in which all the spirit involved was made according to Jim Swan’s suggestion. Which means that both of the yeasts were used, and that everything went through the longer 90-hour fermentation. Effectively, the 2018 is the whisky by which Cotswolds want to be judged. So let’s judge it. Annoyingly I’d already finished my bottle of inaugural Cotswolds, but I managed to blag a swap from a colleague for the purposes of some side-by-sidery. The cask breakdown is still the same: 30% ex-bourbon, 70% STR. And it’s still 46% ABV. On the nose: Still loads of fruity esters, but they seem more controlled than in the inaugural release. Less shouty and discordant. This is a richer, more robust and harmonious thing altogether. The malt element’s also got more grunt. Vanilla sponge and gingerbread. A little polished oak, but deep citrus notes keep things juicy. Quince, black pepper and custard cream. A little wood-driven aftershave. On the nose: The huge Cotswolds fruit is dialled right down, though there’s still some orange and kumquat. The smoke is saline and ethereal. Almost Mezcal-esque. Ozone and wet slate. A little vanilla and shortbread biscuit. Slight sawust. It’s not a huge nose by Cotswolds standards. Bit will-o’-the-wispish. In the mouth– Oh my God! Where’s that palate come from? Massive, massive fruit, but not typical Cotswolds citrus and red berries – this is major pineapples and bananas. There’s a lot of dairy too – really creamy stuff. Vanilla fudge and tablet. All of which is backed up by robust – but not at all intrusive – peat, lending lovely structure. Freshly spent ashes and iodine. Fades to a gristy farmyard hay. Big booze, but that oily, estery beast of a body contains it. The 2018 is very different to the inaugural – to a degree I hadn’t expected. Although the distillery’s DNA is still there, the exuberance of the first outing has been pared back. The new version is altogether richer, more confident and grown up. It’s more rounded and complete. The body and the finish are where it most pulls away from its Genesis. There are points to love on both sides, but for me this 2018 is better. It’ll be what I consider my Cotswolds “reference point” going forwards. The ex-Islay cask 25-month-old spirit is just brilliantly barmy. I’ve got a lot of respect for the distillery admitting that the nose is a little wimpy in their own notes – but that palate… that palate! It’s spirit for heroes and heroines. If you can get to the distillery you should pick some up. If you can’t get to the distillery you should send someone who can. It’s a blast. I’m absolutely certain that they won’t do this, but I would love, love, love to see them vat it with the fruity STR casks at about 70:30 in the Islay cask’s favour when this comes of age. Whatever they do with their peaty spirit I’ll be first in line to buy some. I happen to like the English Whisky Co. Certainly a lot more than Mark and Jason do. Their original Chapter 16 is still probably the best English Whisky I’ve tasted, and several of their other releases have been outstanding. So I’m not going to do anything dramatic like insisting that the Cotswolds Distillery is England’s finest. It’s too early in any case. But I do think, pound for pound, that they’re the most consistent distillery south of the border. Everything I’ve tasted from them so far has been a hit. (Remember, 6 counts as a hit on Malt – we actually use the full spectrum of our scores.) That’s not something I can say about the English Whisky Co.
And I’m also going to have to echo Mark’s 2014 comment, and insist that you pay these guys a visit. Obsessively-made whisky that drills down on what matters to flavour, and doesn’t break the bank. It’s not too much to ask of a new distillery, is it? And, if it is, then what are the long-term repercussions for whisky’s new wave? Huge thanks to Zoë, Nick and the whole team at Cotswolds.